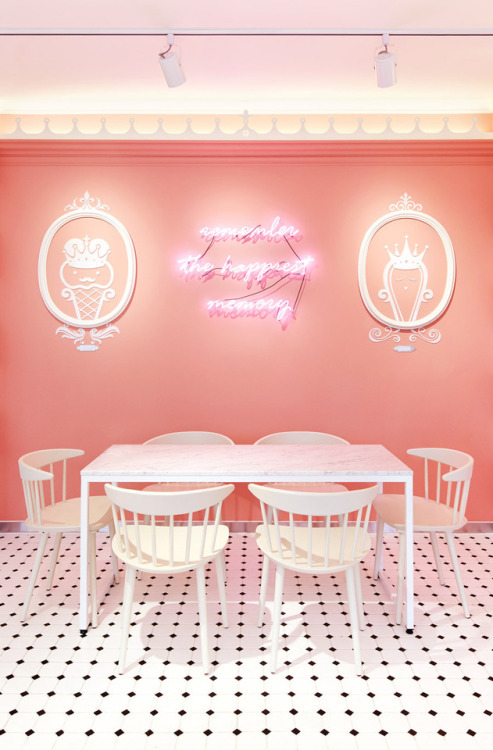 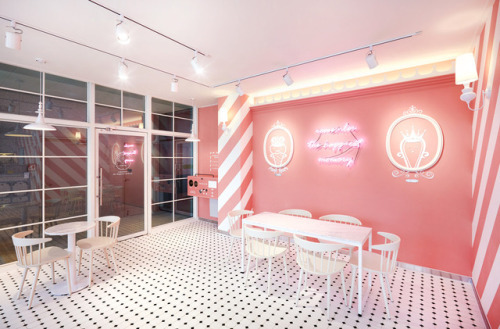 Decorated with pink candy stripes, neon lights, and cute toy-inspired furniture, entering this South Korean ice cream café is like stepping into a doll’s house. 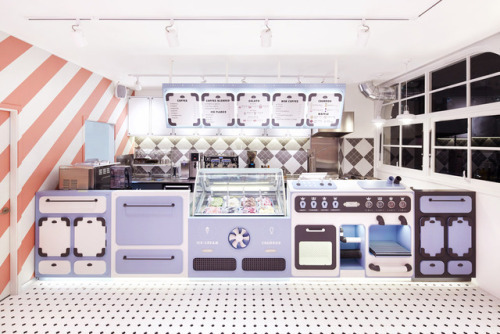 Located in Gimpo, Ah-Choo serves ice cream and churros in sleek and joyful child-like surroundings guarded by a nutcracker soldier. 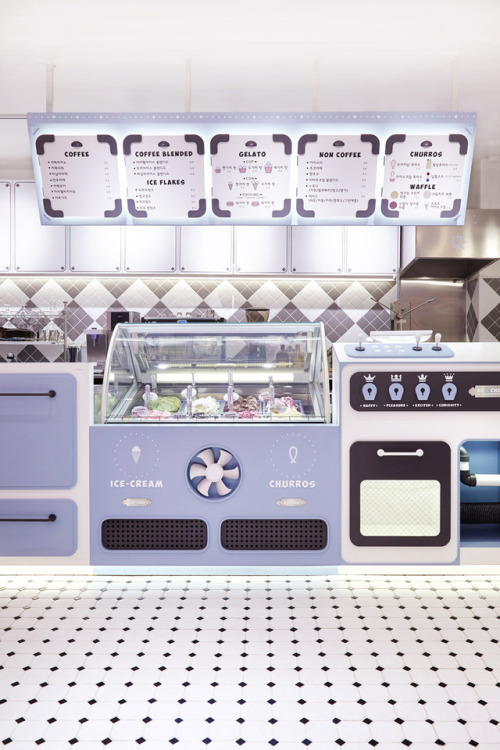 The centerpiece is the eye-catching counter, where faux retro-styled appliances mimic the process of making churros. 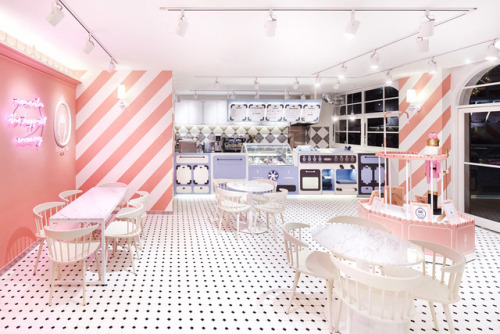 Overall, the space has a playful, yet stylish feel, with its bright white surfaces and delicate pastel tones that recall childhood memories.